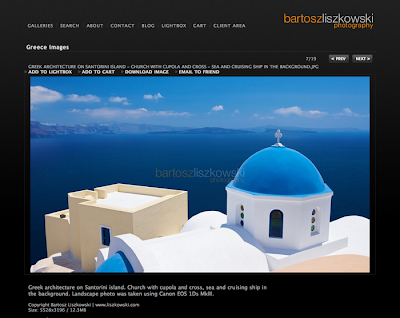 Some time ago I received a positive critic about my art photographs from travel polish photographer Bartosz Liszkowski so is time to give back the favor now that I see a "relationship" between some of his clouds images and my Sky photos. His strongest images are the sea landscapes, good composition, strongs colors and simplicity over all. My favorites photos are one from Greece and one from a cloudy sky. I would like just to see less galeries and more images in each.